Very nice flowers, never seen before. What beauties!! I don't think I've ever seen yellow ones like this. Stunning image!! Aren't those as sweet as a dollop of honey! Really lovely. I've already commented on the image..and now - I'm commenting on your new blog format. Love it!!! What I particularly like here is the simplicity of the composition and the way you've made the shape of the flowers stand out so beautifully. 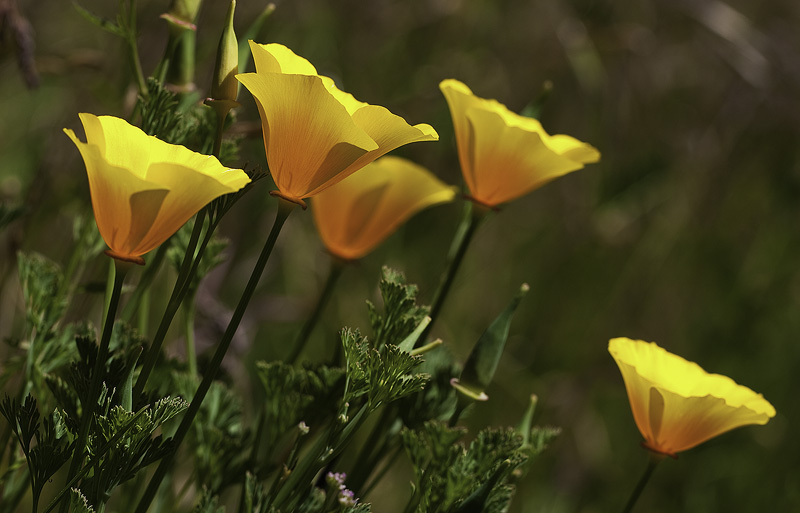 No argument about the status of these as the official state flower of California!